The casino business is a highly lucrative one, generating billions of dollars in profits every year. Despite the huge amount of money that may already be rolling in, every business wants to find ways to expand their profit margins. Gamblers won’t be surprised to learn that casino architecture is designed to keep people playing for longer. What is more interesting though, is that design concepts for casinos have changed greatly in the last twenty years. Up until the late 90’s the commonly accepted wisdom surrounding casino design was never in question. This wisdom largely stemmed from a former gambling addict turned casino management professor, Bill Friedman. He lectured at the University of Nevada, Las Vegas, alongside his work as a casino consultant and casino executive. His casino designs were implemented across Las Vegas, and remain relatively successful in keeping gamblers on the premises. 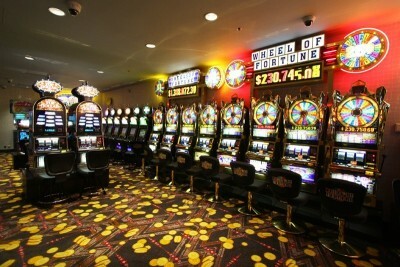 The theory behind his architecture can be seen in many older casinos, and includes low ceilings, small alleys and no decorations other than gaming machines. The lobby had also to be full of slot machines to ensure that even those in the process of leaving may be tempted into spending more dollars. Principle 2: Rather than having vacant lobbies and casino entrances, the area should be filled with gambling options. Principle 4: Long straight passageways which are spacious should be replaced with small winding passages designed like a maze, so that it takes customers a long time to find their way out. Principle 8: Low ceilings beat higher ones. Principle 9: Rather than distracting customers with elaborate decorations, keep the walls covered with gambling equipment. Principle 11: Pathways which emphasise gambling equipment beat a “Yellow Brick Road” layout. To summarise his theory: Make sure that players are surrounded by gambling equipment and don’t give them a chance to escape. Luxury: Interiors should be luxurious, with high ceilings, beautiful furnishings, and an easy to navigate, wide open layout. Casinos should be fitted with mirrors, carpet, quality fabrics and jewels. The customer should feel like they have stepped into a pleasure palace. Adult Playground: Good lighting and ease of moving around the casino create a feeling of comfort, while still providing the triggers that remind you to have fun. The first casino to adopt the Thomas principle was the Bellagio. When the doors of the Bellagio opened in 1998, Thomas and Wynn were essentially making a $1.6 billion bet on human psychology. Thankfully for them, their theories on design were sound, and the profits quickly flooded in. Upon opening, the Bellagio quickly posted the highest profits of any casino in the history of Las Vegas. This fact becomes all the more impressive when you consider that this casino is less than half the size of the MGM Grand. This casino may not have room to fit as many customers on its casino floor, but those customers were spending in unparalleled amounts. The Bellagio quadrupled the average amount of profit generated by each guest room for a casino in Las Vegas. The success story of the Bellagio owes a great deal to the fearless ingenuity of Roger Thomas, who found ways to drastically increase customer spending through his own vision of how to keep gamblers happy. In the years since, psychological research has supported all of the ideas upon which Thomas laid the foundations of the Bellagio. Players stay for longer periods of time, bet bigger, and feel great about their experience, even if they lose. 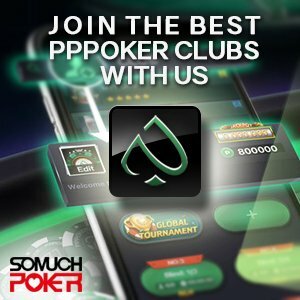 If you have ever wondered why it seems like a struggle to leave a casino, you now have part of the answer.